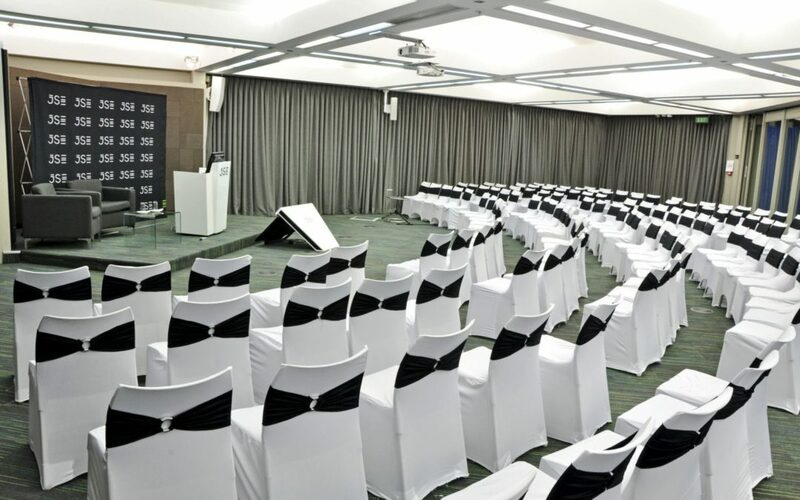 More than 130 years down the line and the Johannesburg Stock Exchange (JSE) has elevated its brand by opening up stunning event spaces to the public that were previously only available to listed companies. This iconic venue offers all the bells and whistles and Carol Crozier, manager: Company Services, says the spaces have been designed to encapsulate any brand – much like a blank canvas. Tell us about yourself and your role at the JSE. I have been with the JSE for nine years and, I must say, it has been a lovely place to work. I initially joined the market data team here, where I worked for some five years. I then started up this department about four years ago. Initially, we never really marketed the conference spaces commercially – we just had the spaces. We did have clients come to use them, but it was very ad hoc and there was no real commercial value. Four and a half years ago, we renovated the space downstairs – and it was then that the renovation had commercialisation in mind. We started to offer conferencing space because we wanted our clients to get more out of their association with the JSE brand. Can you tell us more about the meetings and event spaces? For commercial purposes we have the media hub spaces, the foyer, the auditorium, the atrium and the dining hall. The media hub was put in place specifically for our listed companies, so that has always been a value add we had for our clients. It was created with our clients in mind – creating a one-stop shop for them. We also like to extend our spaces to external companies, and give them an opportunity to have their meeting in a neutral environment. The JSE has the credibility and the positive brand association. The spaces downstairs are very flexible in terms of what a client may want to do. So, the numbers we are looking at there are about 145 to 200 pax. For a far smaller event, the Atrium is perfect: we can put together a nice U-shape and some couches, or do anything to the space, really. It is very adaptable to whatever our clients’ needs may be. Being an iconic building, how do you think the contemporary design and finishes have impacted on your ability to attract and retain clients to your event spaces? We were very intentional in the way we designed the space, wanting it to act like a blank canvas. The space is modern and lends itself to companies being able to come in here and own the space – from their branding to the image they want to portray to their clients.